Josh Warrick, known to most of us on IRC as \"Warhammer\", is the most enthusiastic support specialist (internally known as sharks) born in the great state of Ohio. Finding New York a bit abrasive, he prefers his home office, where just last week he replied to over 1,800 customer tickets (he typically aims for 30-40 per hour). We sat down with Josh to discuss troubleshooting, Linux tattoos, and why he's got the best job in the world. I am from the great state of Ohio! I am living in San Antonio, Texas. I joined the Air Force when I was 18 to see the world and found myself there. When I got out I had a few job offers, so I decided to set up shop and haven't looked back. How did you become involved with computer programming / troubleshooting? Troubleshooting started very early in my life. I began hiding cookies in my browser from my parents who were catching on to what I'd be doing on the internets [laughs]. Actually my interest, in a less technical sense, probably dates back to when I started wrestling and doing jiu jitsu. With those activities you're dealing with body mechanics as opposed to mechanics on a server, but you learn that everything impacts something – from setting up to take downs to even passing guard. I think that really is the foundation of how I troubleshoot efficiently: if someone says their server or site is down, it becomes muscle memory in terms of what to look for and what configurations to keep in mind. Later, Linux and Python became somewhat of an addiction. Like some shady fellow came up to me and was like "have you tried some of this Linux?" and I've never stopped using it. I think about it all the time; I use it to solve problems and simplify my day. I was lucky to have friends who were very knowledgable and helped spark my interest. Coffee as soon as I wake up, maybe I check my email. Then most of my day is spent slamming on tickets. Once the workday is over it's a toss up: I love doing yard work, and I love destroying my four year old in one-on-one basketball on his 5 foot hoop (I am better than Lebron James in his eyes and intend to keep it that way). After that, my wife and I usually put the kids to bed around 9 and have a movie set to fall asleep. How do you approach customer support [How does "Love" factor in]? The way I approach customer support is my own kind of style. I'm of the belief that as a support specialist, I do not need access to our customers' virtual servers in order to resolve an issue – there are always context clues I can use to my advantage. I want to dominate the issue and have that customer completely wow'd (if you're reading this and I haven't done that for you, open a ticket and I will see what I can do). I think that if you leave a customer breathless, positive word of mouth can be the best kind of marketing for your company. That's the love factor: treating each customer like their issue is your issue. Their site is down, my site is down; Their server is not pinging, my server is not pinging. I have to fix this NOW. You're busy helping users all day. Any time for your own projects? On the weekend, I enjoy writing Python scripts that make it possible for my wife – who isn't very familiar with computers / Linux – to perform tasks such as a mass server deploy or resizing a droplet via the api. That lets me know the code is well written and user friendly. I'm also working on a few automation things of my own. For me, it's the diversity of issues I get to see. It's like being an artist waking up to a blank canvas, and having the gratification of finishing a different painting every day. I couldn't ask for a better job. What's the most gratifying ticket you personally resolved? There have definitely been a few times where I've fixed an unbootable filesystem... next thing my wife sees is me coming out of my office screaming "HECK YES I FIXED IT!" What's the biggest project you've ever helped setup? Technical: I've set up quite a few clusters in my day. If you listen to me, your website will never go down. Non-technicaI: I used to coach a high school wrestling team in San Antonio. We had a few placers in a state championship within two years. ...I love it. I cannot thank DigitalOcean enough for this opportunity. It has helped me in many ways, the most important being the opportunity to spend time with my family. What was your favorite part of visiting the office? Visiting the office was an amazing experience. The people were great, I didn't get mugged like in the movies, and I ate the Phaal curry successfully. Would you ever consider living in NY? 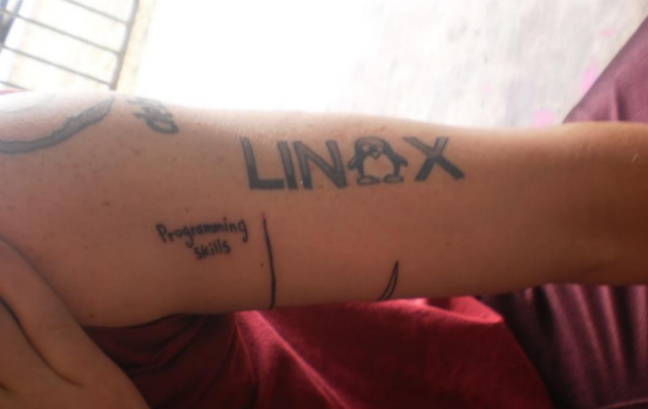 You have a Linux tattoo. Any others we should know about? I have the Ballmer Peak, the Debian Logo, a fork bomb, and a Linux Tux. Is there a subreddit you frequently visit? My favorite subreddit is /r/showerbeer. You've previously worked for other cloud providers. 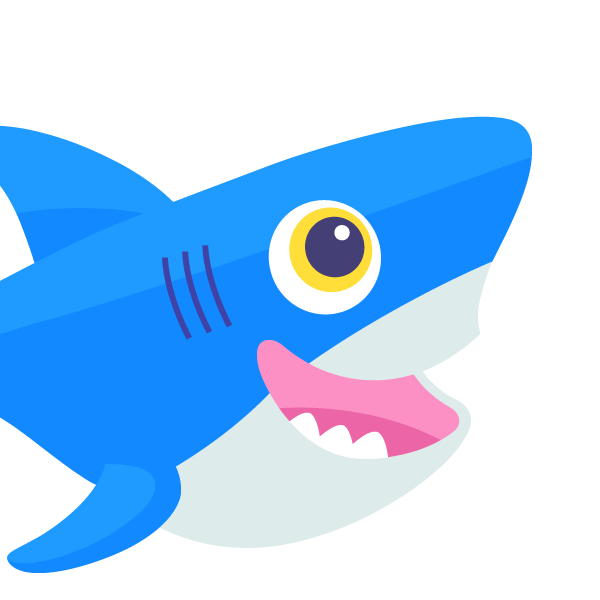 What made you want to work for DigitalOcean? When I applied here, I was coming from a gig where I used to wake up and couldn't wait to login. 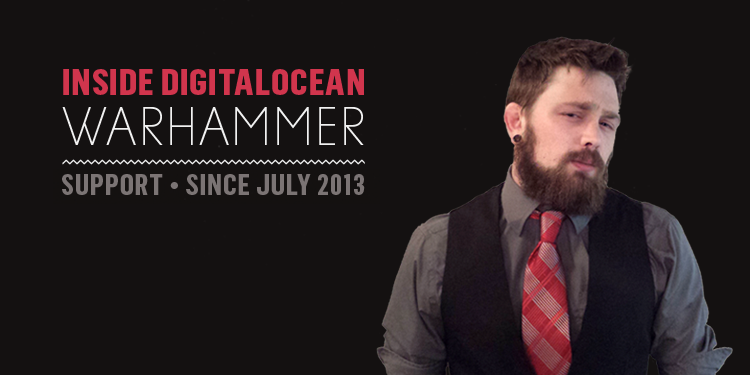 I'm grateful I was able to find that enthusiasm again at DigitalOcean. When it comes to your job, it has to be something you're passionate about and absolutely love doing day in and day out. You have one life, you should like what you spend your time doing. It may sound strange, but I wake up and get excited to see my ticket queue in the morning. It's something that I thoroughly enjoy and have a passion for – knowing I get to be a part of something great.